WataugaWatch: Another Republican Bites the Dust. Release the Dems! Another Republican Bites the Dust. Release the Dems! Darrell Issa of California, a veteran Republican US House member and another of their prominent committee chairs, announced yesterday that he'd rather retire than face certain defeat this fall. The Cook Political Report promptly moved the 49th House district from "toss-up" to "leans Democratic." The district stretches across northern San Diego county and went for Hillary Clinton 50 percent to 43 percent in 2016. 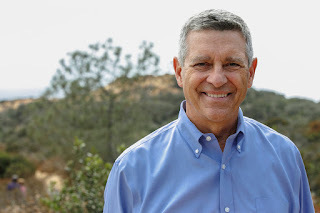 Even before Issa's announcement yesterday, the Democrats already had several serious candidates who intend to compete in California's unique "top two" primary on June 5th, including Marine veteran and 2016 Democratic nominee Doug Applegate, who came within 1,622 votes of beating Issa out of over 310,000 votes cast in 2016. Without spending that much money (Issa out-spent Applegate by millions). Applegate’s military background -- he was a Marine infantryman and rose to the rank of colonel -- "could make up for the Democrats’ voter registration deficit in an area that includes the U.S. Marine Corps Base Camp Pendleton, thousands of defense industry workers and a substantial veteran population" (according to Democratic political consultant Laura Fink). After he left the Marines, Applegate became a trial lawyer. His introductory video posted on his website is ham-handed and grates (sorry!). He wants to be the 49th's political infantryman against "the corruption of special interests over the needs of Americans and the nation." Okay. 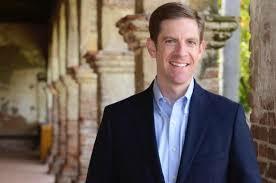 The up-and-coming Democrat who's contesting Applegate -- lawyer Mike Levin -- has actually raised the most money of any of several Democrats who've announced their intention to run. Fundraising generally for Democrats has been "robust" in the 49th, according to reporter Christine Mai-Duc. Levin announced his candidacy on March 8th, 2017 -- yes, way back then -- and between April 1 and June 30, he took in $333,537 and has $416,345 in the bank. That represents enthusiasm. It also represents plenty of campaign spending on finance professionals, "digital services," and -- maybe most important -- a "ground game" involving paid organizers. I favor that kind of commitment and organization. There's another serious Democratic contender in the 49th: EMILY's List-endorsed former State Department official Sara Jacobs. Sara has no political experience (neither does Levin for that matter), except as a foreign policy advisor to Hillary Clinton during the 2016 campaign. She promotes herself as an "experienced policy-maker, [serving] in key policy positions at the U.S. State Department under the Obama Administration, UNICEF, and the United Nations." Here's a thing: Sara Jacobs is the granddaughter of Qualcomm co-founder and billionaire philanthropist/major campaign donor Irwin Jacobs, and she has been able to tap into old Clinton operatives who've help her raise money and get the EMILY's List endorsement. Like Mary Pat Bonner, reportedly one of the most prolific Democratic fundraisers "in the history of elections." No kidding. There are even more candidates who've announced for the primary, and no matter who the Republicans put up at this point, smart money says it could easily be two Democrats who take the top spots in the primary and will have to face one another in November. In which case, the 49th District is destined to have a Democrat in Congress. The California 49th will be well worth watching in June!